Torah. As such one is not allowed to alter the wording of it. stepping on some well-founded sensitivities. actual verse, it is inappropriate to repeat the words. the text you will find in most siddurim as well. reason for me to directly seek a p'sak accordingly. >on my shoulders at all? 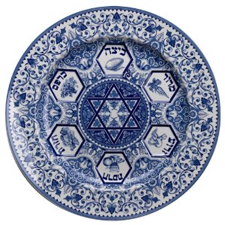 kashrut of the food then falls to the other person. ain lo shum chet af im ha-halocho she-lo k'moso..."
punishment. Tovo aleihem brocho that rely on our poskim. Or, when marriage goes sour, should I divorce my spouse? What profession should I study? untrustworthy people / etc.)? should I interfere, and in what way? Or, a question raised in certain schools in Israel:  Is civil disobedience justified? -- in a respectful manner, of course--to clarify the pesak. >end of sec. 13. See also Resp. Rashba, I, sec. 98 (end). introduction to his first volume on YD discusses methodology. << <<I was quite shocked to hear that a rabbi was "telling everyone"
become convinced of this is not clear to me. for that matter, any other good reason.